When Yamaha decided to build their DBR Series speakers, they used technology developed for the DSR and DXR Series speakers, then added a new level of portability. The DBR15's Class D amplifier supplies up to 1000 watts of digital power, while the 15" woofer and 1.4" compression-driver tweeter turn all that power into dynamic sound. 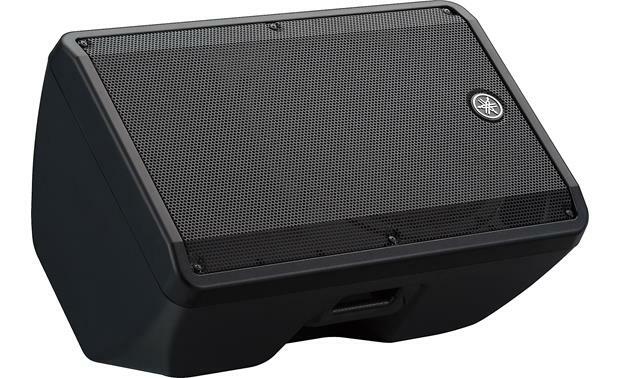 Yamaha houses these speakers in a compact, lightweight portable cabinet that's the most easily transported of all their powered speakers. 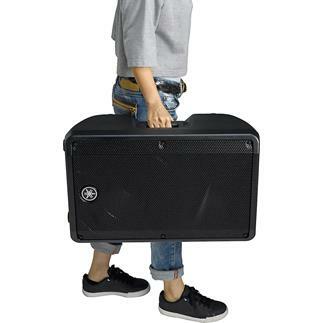 At a little over 23 pounds each, you can carry an awesome PA system without even breaking a sweat. 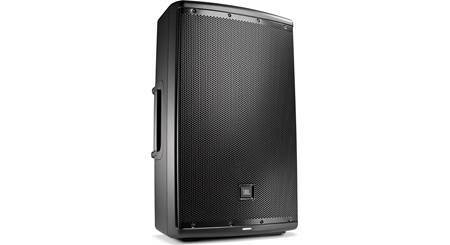 The DBR15's cabinet allows it to be used as a free-standing speaker, a pole-mounted speaker, or a stage monitor. It also includes M8 rigging points so it can be flown above the stage or mounted on brackets (sold separately). 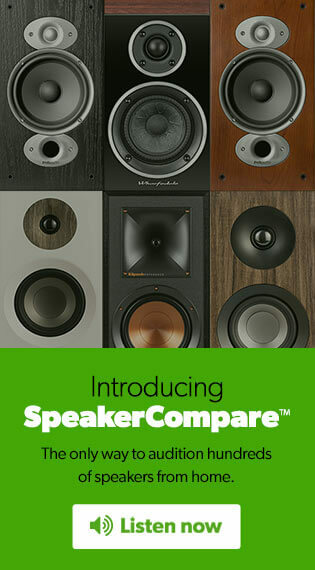 Any way you slice it, you get as much as 132 dB sound pressure level from the 1000-watt amp and the special-design speakers. That's a lot of output for a single 2-way cabinet, enough to cut through the noise of a packed house and then some. 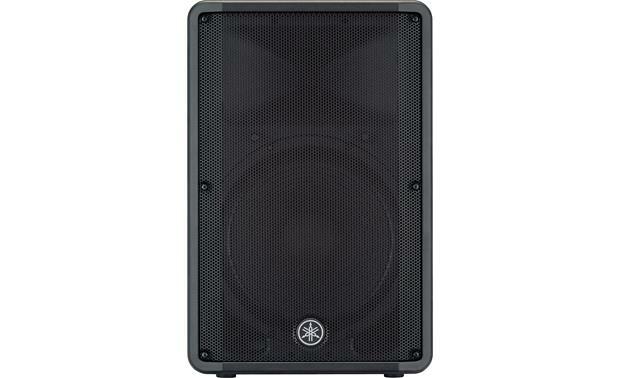 The 15" driver also allows the DBR15 to serve as an alternative to a subwoofer for high-volume situations. The DBR15's built-in mixer gives you two combination inputs which handle either XLR or 1/4" TRS connectors. One input adds a stereo RCA input for playing a portable music player or other source. 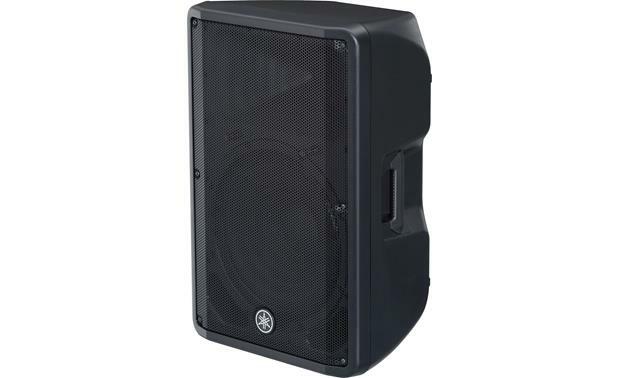 A single DBR15 can serve as a PA for presentations or speeches, an amplifier for your tunes, or a musical instrument amplifier, performing each task with remarkable volume and clarity. 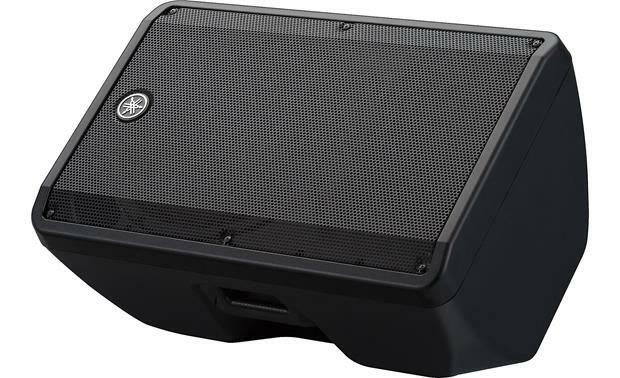 Yamaha's digital signal processing gives you a 2-way contour switch to optimize the speaker for front-of-house or monitor use, along with a 2-position high-pass filter that cuts bass for speech applications or use with a subwoofer. An XLR output allows you to daisy-chain the speaker with other DBR15s with a pass-through signal from channel 1 or a mix of channels 1 and 2. 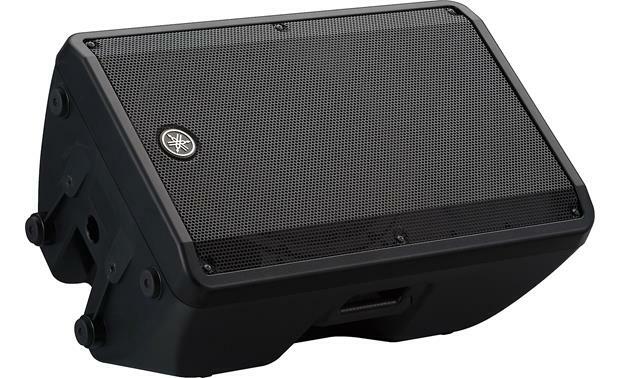 If you're ready to take your message or music to the people, the Yamaha DBR15 offers a combination of power and portability that makes it ideal for any situation where you need a lot of sound in a portable, affordable package. 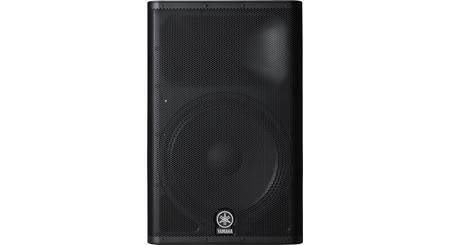 DBR Series Overview: The Yamaha DBR series of powered loudspeakers deliver powerful, high-quality sound. 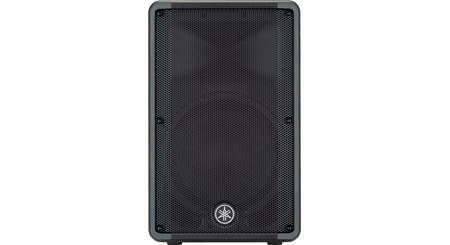 They use the same state-of-the-art Yamaha DSP, amplifier, and speaker technologies as the professional DSR and DXR series. 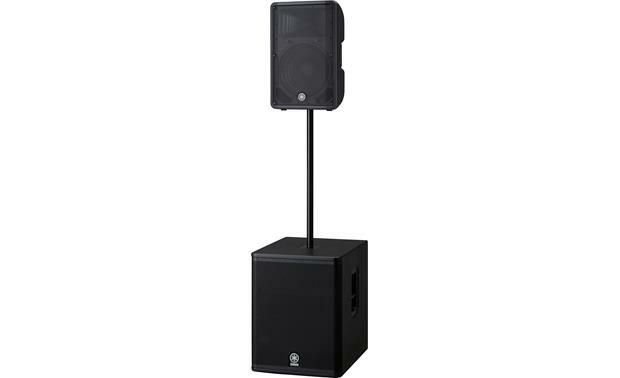 These versatile speakers can be used for live performances, DJ-ing, or public address, and can be placed at front-of-house on a pole stand, on the floor on the end or side for stage monitoring, or suspended in rigged applications. Crossover: The 2-way speaker features a 2.1 kHz FIR-X tuning (linear phase FIR filter) crossover. Inputs/Outputs: The DBR15 has two inputs and one output for daisy-chaining speakers together. Input 1 features a female XLR-1/4" combo connector with a Mic-Line switch and a rotary level knob. Input 2, a line input, also features a female XLR-1/4" combo connector, plus a stereo RCA pair, and a rotary level knob. The output connector is a male XLR, with a 2-position switch. 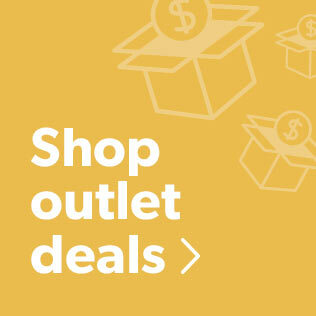 With the switch in the OUT position, the speaker outputs Channel 1 audio only. In the IN position, the speaker will output a mix of Channels 1 and 2. 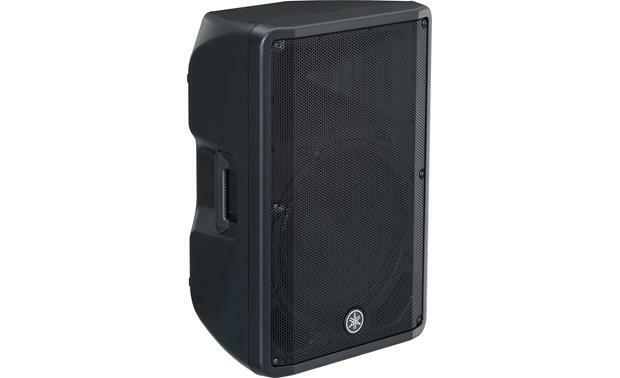 FOH (front-of-house) / Main: Applies a boost to both the bass and treble for a balanced full-range sound. Monitor: Applies a boost to the treble, but cuts the bass so you can hear yourself without being overpowered by the bass. 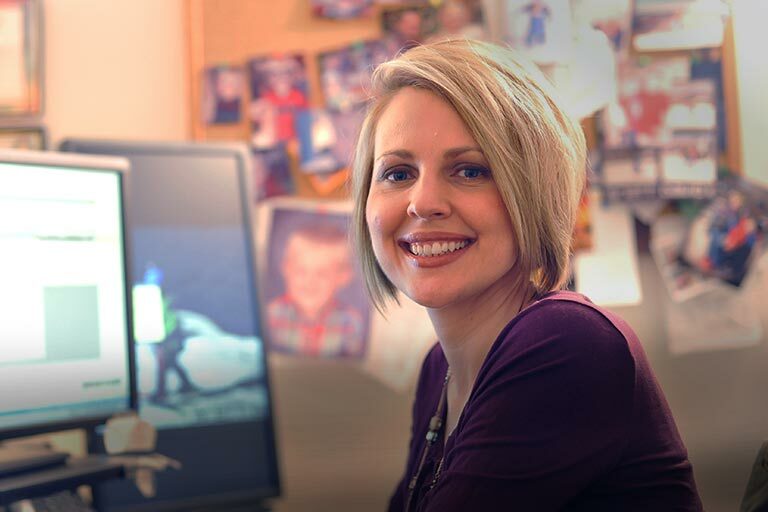 Off: Turns off the D-Contour. High-pass Filter (HPF): Applies a high-pass filter with a selectable roll-off at 120Hz or 100Hz. 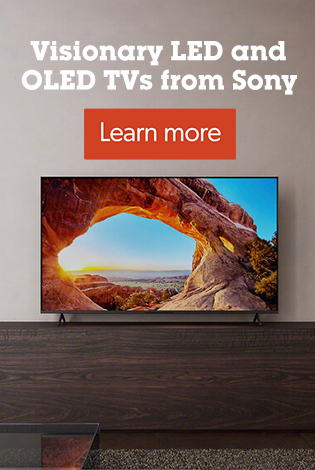 You can also turn off the HPF for full-range sound. Protection: The DBR15 has built-in protection to keep your speaker operating for years. The amplifier has a limiter that will keep the input levels from reaching an excessive level causing distortion and clipping. The amp's protection circuit monitors the internal temperature, as well as DC-fault, Output Current, and Output Voltage. When the levels get out of range, the amplifier's protection circuit will mute the speaker until the levels return to normal range. 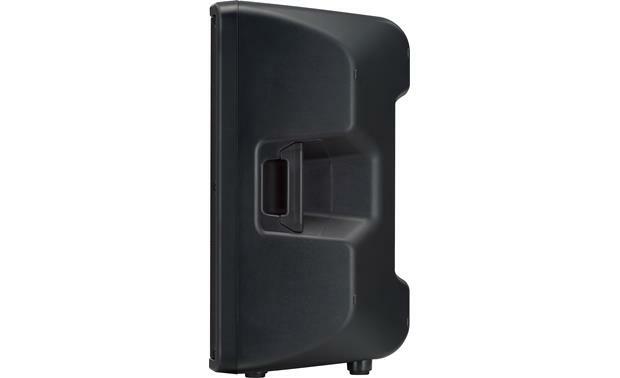 Placement Options:The versatile DBR15 is equipped with a rugged, but portable cabinet, with a top handle for easy carrying. 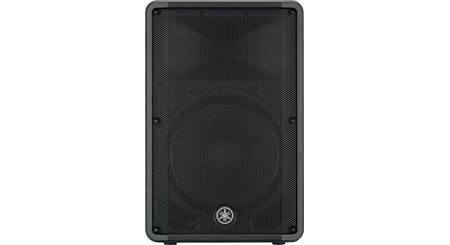 The speaker can be placed upright on its sturdy feet, or placed on its side and used as a 50° angled wedge for onstage floor monitoring. The DBR15's cabinet is symmetrical, so you can place them on either side in a mirror-mode for floor monitoring or stereo sound field setups. It has a standard 35mm pole socket on the bottom for pole mounting. On the bottom of the speaker, two threaded screw holes are provided for use with M8 x 15mm eye bolts or screws for suspending the speaker. Another M8 threaded screw hole is provided on the back of the cabinet to be used as a pullback point for angling the speaker up to 45° when suspended. 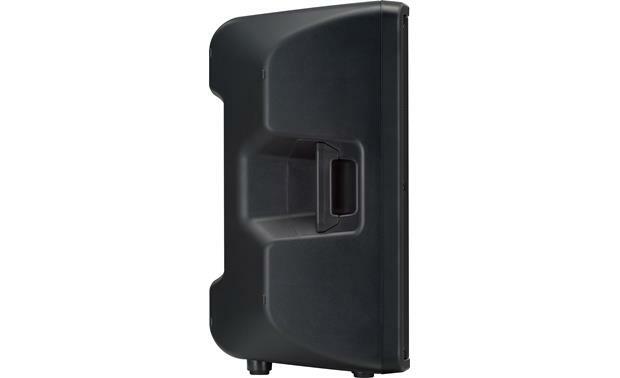 Optional Yamaha speaker brackets are also available for rigged applications. 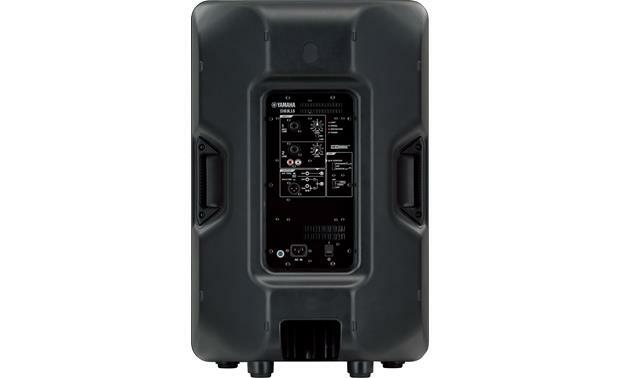 Searches related to the Yamaha DBR15 15" 2-way powered PA speaker — 1,000W peak.